Serving as the capital of the Kingdom of Mysore for nearly six centuries, mostly under Wodeyar dynasty, Mysore has been at the forefront of cultural and religious patronage by royals and current government alike. Mysore is known for its rich history and cultural affluence and consistently flaunts its traditional beauty. The Mysore Palace, Chamundeshwari Temple, Brindavan Gardens, the Mysore Zoo, the Government silk factory and the Sandalwood oil factory are some famous jewels in the crown of Mysore. Also called the City of Palaces, it evokes everybody's interest with its ornate examples scattered across the city. Earning a sobriquet as the cultural capital of Karnataka, this city spells vibrance in every aspect. With a choice between home stays and luxury resorts, and cuisine that tempts even the most critical of connoisseurs, Mysore has it all. In the mesmerizing city of palaces, gardens and musical fountains... Mysore, lies an artists creation of natural forest just 140 kms from Bangalore. Your desire to spend some precious time in the quiet environs of a forest resort will be fulfilled as you roam aimlessly in solitude and in proximity with nature. An experience that will make you carry home memories that will linger for a life time. Nestling quietly amidst river bed of Kapila Cauvery River, Raya resort is a heaven on earth en-route to the mystic town of Talkad that offers facilities found only at exclusive resorts in Bangalore! 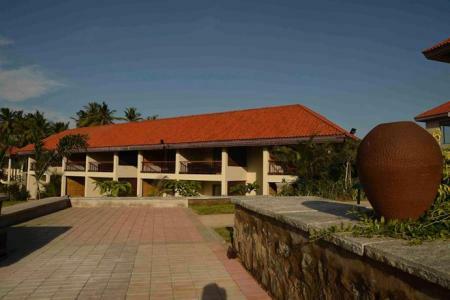 The Cute is an exotic resort located Midway between Rangna Thittu Bird Sanctuary and the Brindavan Garden. The Cute Paradise is located in an ideal location so as to let the weary traveller enjoy all of Mysore?s world-renowned attractions. If you?re looking to unwind and relax then the magnificent climate along with world-class outdoor pursuits will help you unwind and rejuvenate. 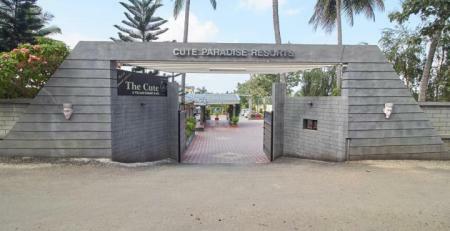 The Cute is a 3 star resort set in a stunning landscape offering majestic views overlooking the beautiful Birds at the renowned Bird Sanctuary. Situated within 10 minutes from the popular Mysore Palace, Regaalis is a 4 star property that offers upscale facilities and services. Prominent attractions, such as St. Philomena's Church, Jaganmohan Palace and Art Gallery and Mysore Zoo lie close to the hotel. 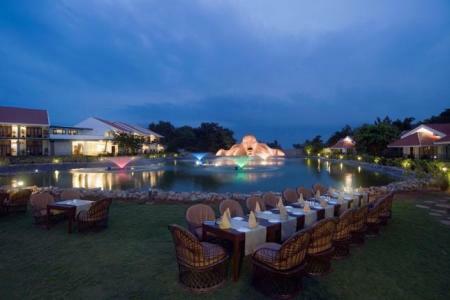 This deluxe hotel sprawls across 4 acres of land and features 150 beautifully decorated rooms. 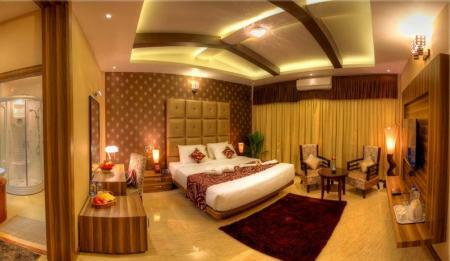 These rooms are further divided into Superior Rooms, Club Rooms, Suite and Executive Suites. In-room amenities include air-conditioner, wireless internet access, telephones, flat screen satellite TV and electronic safe. In Club Room, 2 pieces of laundry, 2 small IMFL brand drinks and one hour WiFi internet are complimentary. 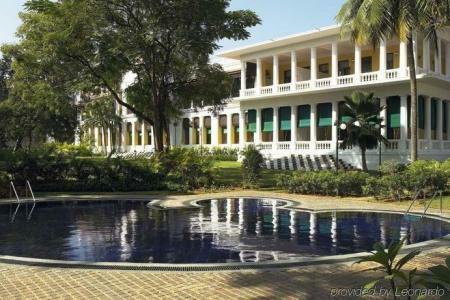 For corporate, there are two halls- Darbar Hall and Jyoti Hall, one boardroom and a poolside lawn in the hotel premises. The seating capacity of these venues varies from 25-1000 guests. To feel rejuvenated, leisure travellers can visit the fitness and Ayurveda centre or they can just laze around the pool. Laundry, car parking, valet service and doctor-on-call are the other services provided at the hotel. There are two dining venues at the hotel, namely La Gardenia - multi-cuisine restaurant and Chaarcoals- poolside restaurant, which serves delicious grills. In addition, it has a patisserie- The Pastry Shop and The Lobby Bar. 24-hour in-room dining service is also provided at the hotel. Regaalis is well-connected to city's railway station and airport, which works favourably for travellers. 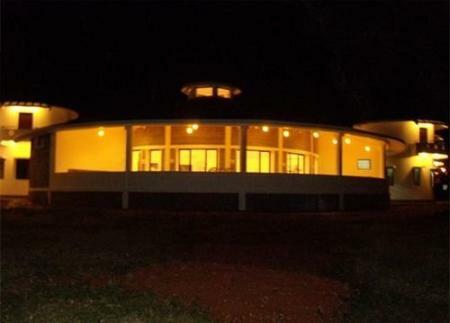 Jal Mahal Resort and Spa is located in the cultural capital of Karnataka, Mysore. It is located close to the Airport and Railway Station. The property offers well-appointed rooms equipped with basic amenities like television, telephone and essential bathroom amenities. Tourist attractions of Mysore like Mysore Palace, Brindavan Gardens, Karanji Lake, Krishna Raja Sagara, Lalitha Mahal, Kukkarahalli lake and many more places to visit within the vicinity. 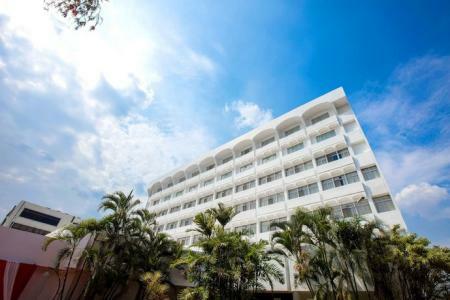 The hotel provides air-conditioning, security and laundry services (chargeable). 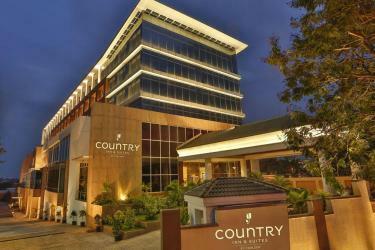 Additionally, the hotel also offers conference facilities and business services for the guests. The willing staff ready at hand to attend of every need of the guests and taken care of like they are at their own home. There are innumerable options with a variation of both local and regional delicacies available nearby the hotel. 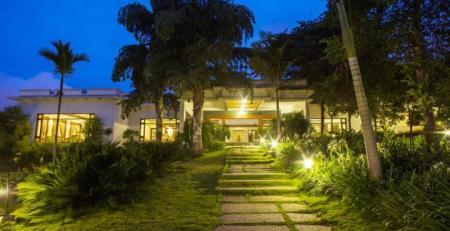 Enjoy staying at Jal Mahal Resort and Spa, located in the beautiful city of Karnataka, Mysore! 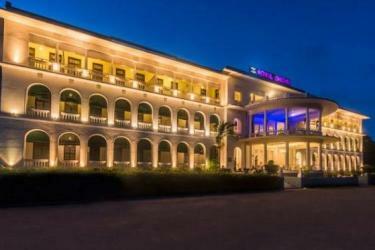 A four star grand heritage hotel, Royal Orchid Metropole is steeped in the history and culture of Mysore. Its imperial arches, imposing pillars and ornate corridors capture the old world charm of this majestic guesthouse built by the former Maharaja of Mysore in 1920 for his distinguished British guests. Experience princely living at the Lalitha Mahal Palace Hotel which is set in an Italianate palace at the foothills of Chamundi. With its historical significance and antique-style furnishings, feel what it's like to live like the Maharajas and at the same time enjoy the amenities this beautiful place has to offer. 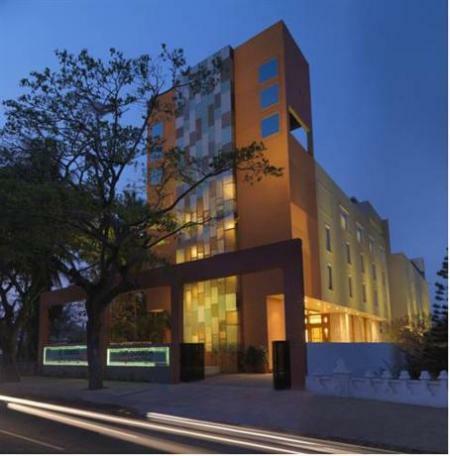 1 km from the city centre and Mysore Zoo, Hotel Sandesh the Prince is ideal for both business and leisure travelers. Guests can get themselves Ayurvedic massages or use the other amenities at the hotel including the gym and the swimming pool. There are also a number of in-house restaurants to choose from for a sumptuous meal or a drink. 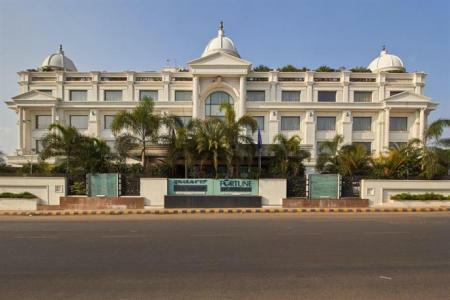 Set in the historic city of Mysore,this contemporary-style luxury hotel has all the amenities to offer to travelers of all sorts-be it business or leisure. You can travel 10 km to Chamundi Hills or just enjoy the breathtaking view of the hills from the roof while you're taking a dip in the rooftop pool. Equipped with a health club, a pool, a gym, a beauty salon and a spa facility, Golden Landmark Resort is the ideal destination for a laidback, hassle-free getaway. Be it for a leisure outing or a business meet, it's got the facilities to ensure your stay is comfortable and convenient. Enjoy the luxury and hospitality at this sophisticated boutique hotel while you treat yourself to a spa or a swim in the outdoor pool. While you're here, you can gorge on some delicious food and burn it off at the health club as well! Mysore is a simple, no-frills city. Luxury hotels are, however, quite keeping with the name. With quite an affordable pricing, you can bunk at a luxury hotel without burning a hole in your pocket. 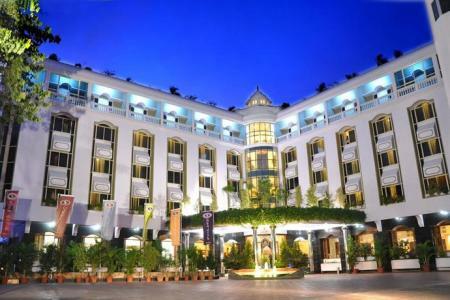 The Windflower, Silent Shores, Royal Orchid Brindavan Garden, Hotel Sandesh The Prince, etc. are good luxury resorts to book your stay at if you want to enjoy a weekend that's full of pampering. 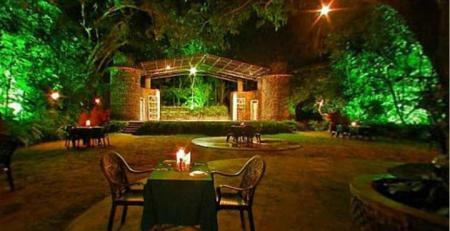 However, if you're looking for something relatively cheaper, Jal Mahal Resort, Regaalis Mysore, etc. are comfortable places to stay. Ginger Hotel and Oyo rooms are also plenty and offer good and comfortable rooms for a budget stay. 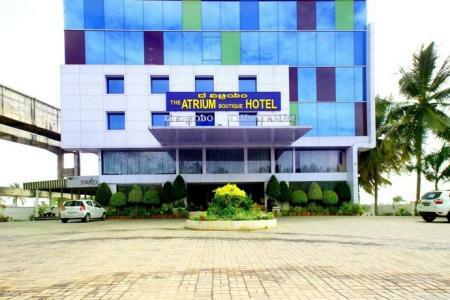 There are also many budget lodges near and around Krishnaraja Sagar Dam and Srirangapatna where you can stay for overnight visits. Most hotels are at convenient distances from tourist destinations, so sightseeing in Mysore shouldn't be a problem! How do I get to Mysore? By road - The drive from Bangalore to Mysore is comfortable and scenic. You will come across the Indian countryside, and drive past river Kaveri. The fastest route via NH 275 will take you about 3.5 hours. However, if you like well maintained, long, straight roads with minimum traffic and great views, take the NICE Ring Road (NICE Bangalore-Mysore Expressway). It will add about half an hour to your journey, but it'll be worth it. By bus - There are several day and overnight buses that ply between Bangalore and Mysore. You can choose between private or government, AC or non-AC buses to travel by (rates will differ based on luxury and ownership). KSRTC is the most convenient and comfortable. The Mysore KSRTC Bus Stand, and Mysore City Bus Stand are popular bus stands. If your destination within Mysore comes close to the bus route, you can inform the bus driver about it before the journey starts, and stop at the convenient location. By train - Because of the 2 cities' proximity, there are many trains that ply from Bangalore to Mysore regularly. The trains stop at 2 railway stations in Mysore - Mysore City, and Ashokapuram. There are both day trains and late night trains; the latter reach shortly after midnight. Train journeys last about 3 hours. By air - There are a few flights connecting Goa, Bangalore, Mumbai, and Chennai to Mandakalli airport, which is a small domestic airport in Mysore. However, the closest international airport to Mysore is in Bangalore. How do I get around Mysore? Mysore is a small city, so you won't get stuck in traffic jams. You can hire self-drive rental cars, or use autorickshaws and the Nano Taxi service to get around town. You can also use buses, although they might not be too frequent. 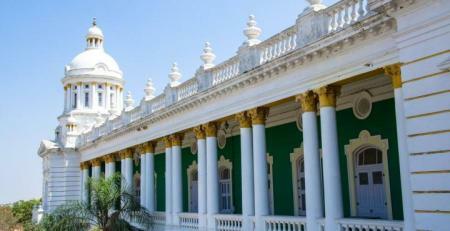 Mysore is pleasant to visit at any time of the year - October to February being the best. Mysore Dasara is the grandest festival celebrated in region and lasts for 10 days. It falls on different days every year between October and September. There is a grand parade where the famous Peacock Throne is put on display on an elephant. At night, the entire Mysore Palace is lit up with thousands of lightbulbs. It is a sight which cannot be missed! There are plenty of historic sights in and around Mysore. History buffs will hit the jackpot on this trip! 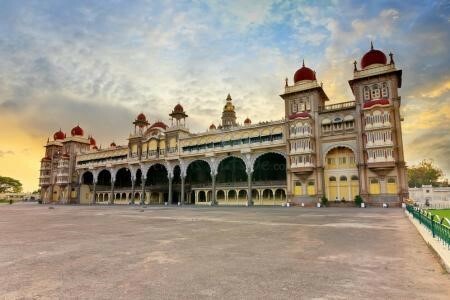 The must-do tourist attraction in Mysore is the magnificent Mysore Palace. It is till date the official residence of the Wodeyars, the rulers of Mysore. A section of the palace is open for tourism. Walk through the same halls as the Mysore royalty did centuries ago. Jaganmohan Palace was the alternate retreat of the Wodeyar family. Today, it is an art gallery which holds one of the largest collections of artefacts in South India. The painting collection include art by Raja Ravi Varma, Rabindranath Tagore, Abanindranath Tagore, Nikolai Roerich, Svetoslav Roerich, and the famous Lady With The Lamp by Haldankar. Other exhibits at the palace include weapons of war, musical instruments, sculptures, antique coins and currencies, and more. Kukkarahalli Lake and Karanji Lake are the 2 large water bodies in Mysore. With lush greenery and a large bird population, tourists visit these separate lakes to experience a peaceful and quiet walk around the water. Karanji Lake houses a butterfly park, and is known as the biggest "walk-through aviary" in India. You can even enjoy the serene ecosystem by taking a boat into the water. Built in 1956, St. Philomena's Cathedral is one of the largest cathedrals in South Asia. Inspired by Gothic architecture, the cathedral boasts tall twin spires, ornately crafted exteriors, and beautiful stained glass windows. Sri Chamundeshwari Temple sits atop Chamundi Hill in Mysore. This temple is a shrine for Goddess Durga, and is known for its Dravidian-style architecture, and the giant Nandi carved out of granite. There is a long climb to get to the shrine, but the view of Mysore from the top is breathtaking. The Mysore Zoo is one of the oldest zoos in India. It is home to about 170 species of animals, birds, and reptiles. The zoo is well kept and is worth a visit. About an hour away from Mysore is the Brindavan Gardens. It is a terrace garden and is laid out immediately behind the Krishnaraja Sagar dam (KRS) site. The garden also has a lake where you can go boating. Apart from the variety of trees and plants found here, the garden is also famous for the fountains in the area. At night, these fountains are lit up, and it's a wonderful sight! You can also enjoy a musical fountain show! The Krishnaraja Sagar dam is built across river Kaveri. It provides water for irrigation and drinking to Mandya, Mysore and Bangalore. The ginormous structure is known for the fact that is was built using surkhi mortar - not cement. The area surrounding KRS dam makes for a scenic picnic spot. 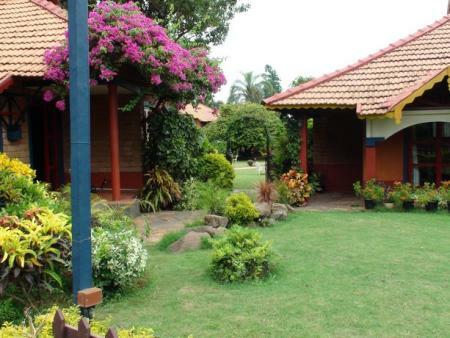 If you're visiting Mysore with children, you must spend a day at the GRS Fantasy Park. This water park is a popular destination among tourists. Srirangapatna is an island fortress city that was the capital of Mysore state during Tipu Sultan's reign.You will drive through the city on your Bangalore-Mysore journey. The region is of great historical, cultural, and religious significance. Here, you can see the remains of the fortress, dungeons and more. The famous Ranganathaswamy Temple is an architectural marvel with mixed architectural style, owing to the many dynasties that ruled the region. The Gumbaz is Tipu Sultan's mausoleum. Nimishamba Temple, Dariya Daulat Bagh, Jama Masjid, are other popular sites. What to eat, and where? Mysore is known for its authentic south Indian and traditional kannadiga food. Mysore Masala Dosa, Idly, Vada, Bonda and Bajji are favorites among locals, so you'll like it too! Don't forget to finish up with Kesari Bath, and a hot cup of filter coffee! The city has no shortage of yummy snacks and sweets that most visitors can't leave without buying for family back home. All over Mysore, you'll find shops with people frying fresh potato chips. Go in and taste the variety of fresh chips and snacks, and buy whatever you like! Among sweets, Mysore Pak and Chakkuli are great take-aways! While in Mysore, you must stop at a roadside "churumuri" stall, which also sell chaats and paani puri! However, if you're suddenly craving seafood, Mysore offers restaurants like Oyster Bay, Fish Land, By the Way, Coastal Garden Mangalore style family restaurant, and more! Nanking is a popular restaurant for Chinese food. Mezzaluna, Olive Garden, and Jungle The Restaurant are good multi-cuisine restaurants. Mysore is famous for its silk production. You can buy authentic Mysore silk sarees from Government Silk Factory and KR Circle. The aforementioned snacks and sweets like Mysore Pak and chakkuli are must-buys. Handicrafts in Mysore are well known in India. Incense sticks, stone sculptures, and Sandalwood and Rosewood art pieces ranging from miniature figurines, to furniture are great buys! The Cauvery Handicrafts Emporium on Sayyaji Rao Road is where you can pick up knick-knacks from.